Stress-manual workers – an important component of the effectiveness of enterprise management In the conditions of scientific-technical progress in connection with the reduction of heavy and low-skilled manual labour and typical for modern professions combination of nervous tension with the «muscle hunger» leads to nervous and psychic stresses. A significant mental stress is considered as the main cause of neurotic shifts and the emergence of cardiovascular pathology in persons, employed in the system of enterprise management. In the article the characteristic features of the work of leading employees (the lack of physical activity and interpersonal relationships, lack of time for taking responsible decisions in extreme situations, etc.). With the increase of nervous tension increases total operating voltage of the organism, which can go into over-voltage, and in the subsequent to the development of production-related diseases and occupational stress. Recommendations are provided for the organization of work and rest during the day and the week of the senior staff and increase of their resistance to stress. We describe the physical and health-improving activities in the mode of work and rest, aimed at improving the efficiency, strengthening of health (basic standard forms of industrial gymnastics: introduction, preventive, restorative, etc.). Keywords: hard work, illness, stress. 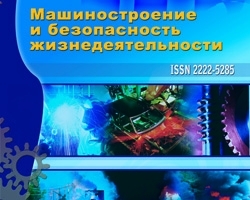 MR 2184-80 «Physiological basis of model organization of work and leisure managers of industrial enterprises». MR 2.2.9.2311-07 «Prevention of stress state employees in various occupations».